Equities market shrug off slowing growth, trade concerns, and a failed Brexit in favor of earnings. I'm reasonably sure one of the aforementioned problems will raise its ugly head again but for now, it seems as if the market is focusing on what is really important; corporate profits. The season is still in its infancy but the signs are good we're going to see a good earnings cycle. So far we've gotten reports from most of the big banks and, while there has been some isolated weakness, core consumer businesses are good. 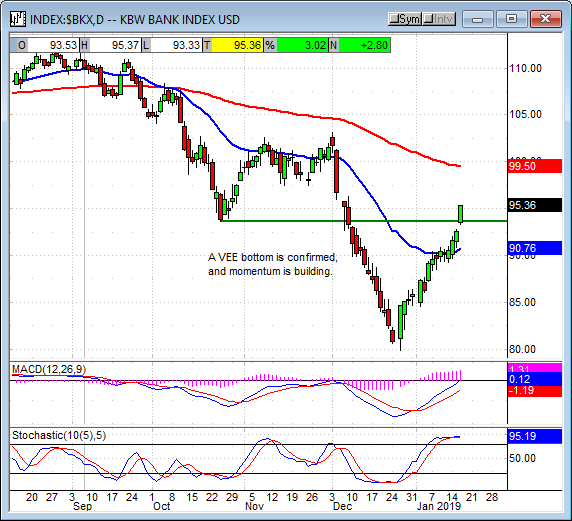 A look at the Banking Index says it all; A VEE bottom is confirmed. On the political front, the government shutdown wears on. There is growing speculation on the impact of the shutdown should it linger into the end of the quarter but no two sources seem to agree. Pelosi and Trump don't seem to be on a path to get it ended so we may find out. Today's news is a message from the new Speaker of the House to President Trump, reschedule the State of the Union or submit it in writing. On the Brexit front, Theresa May's deal with the EU was soundly rejected and resulted in a new vote-of-confidence. The vote, this afternoon, confirmed the May government but did little to enlighten us on the path forward. May says Parliament must find solutions that are negotiable and have a majority of support from UK citizenry, a goal they've been working towards for two years. The question now is what happens next. It seems more and more likely a hard-Brexit is inevitable, Jamie Dimon says the UK may have to take whatever the EU offers if they want to get this thing done. There was quite a bit of data due out today include the December read on retail spending. The data was delayed by the government shutdown and is not likely to be released until the shutdown is over. Without data to guide it the market will be forced to rely on secondary and anecdotal sources, analysis, and conjecture which is not a good foundation to build on. We did get a read on Home Builder Sentiment and Import Prices. Home Builder Sentiment rose by two points to 58 as buyers begin to come back to the market. The gains were driven by lower interest rates, evidenced by high double-digit increases in mortgage applications over the past two weeks, and are likely to continue into the coming months. 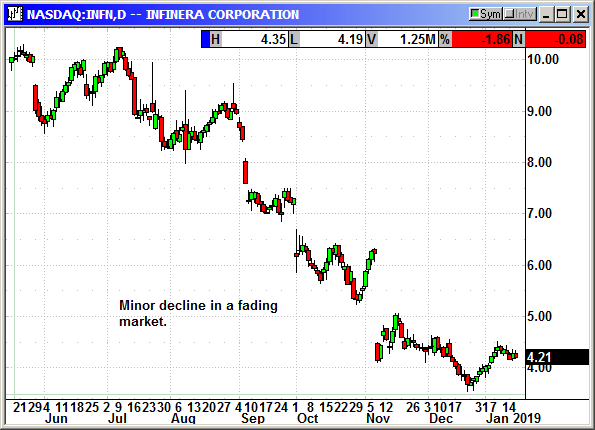 The three sub-indices all showed improvement but the traffic of buyers remains below 50 and levels seen last year. Import prices fell a full percent in the last month which is a good thing. The only problem is that the analysts had been expecting -1.3% which makes this month's figure a miss. Regardless, the data show downward pressure in inflation and further evidence the FOMC needs to hold off on future rate hikes. 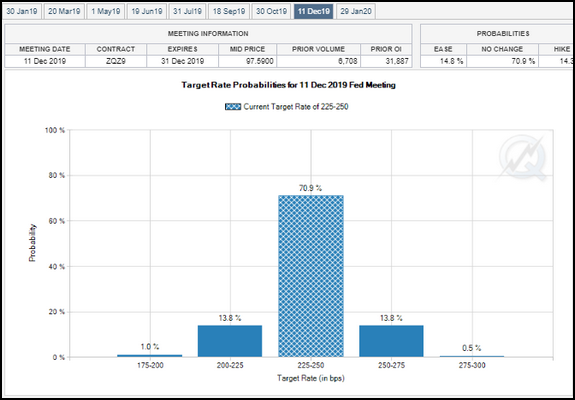 The CME Fedwatch tool shows an equally low chance for a single rate hike or rate cut this year, about 14% each. What this means is that we're probably going to see no hikes or no cuts this year without some change to circumstances. 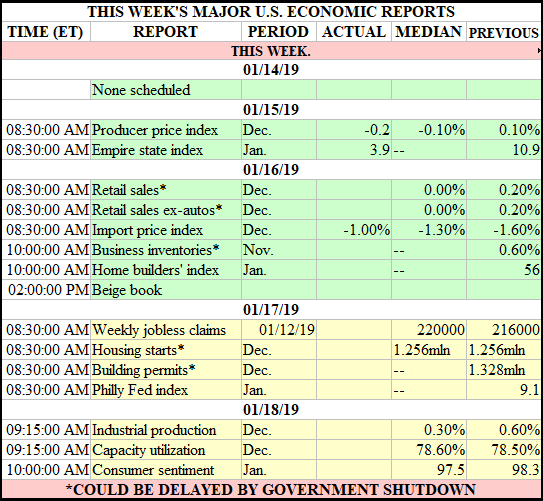 One possibility is the shutdown could last all quarter and lead the US to the brink of a recession or worse (not likely in my view), another is that a trade deal will be struck with China and global activity will rebound (more likely I think). The Fed's Beige Book was much as expected and did little to move the dollar. According to the monthly report on US economic activity continues to increase in most of the country; eight of the twelve districts reported modest to moderate growth. Non-auto retail sales grew modestly, manufacturing continues to expand if at a slower pace, and the outlook remains generally positive. Market volatility, rising rates, trade uncertainty, and geopolitics have had a negative impact on outlook. Employment and wages grew throughout the country, no surprise there. The majority of districts are reporting a shortage of workers with some noting some establishments are turning away business due to a lack of staffing. Regarding prices, prices continue to rise at a modest to moderate pace. Most firms are indicated a rise in input costs but a smaller amount have been able to pass those costs on to the consumer. The Dollar Index edged higher in the early part of the session but gave up the gains well before the Beige Book was released. 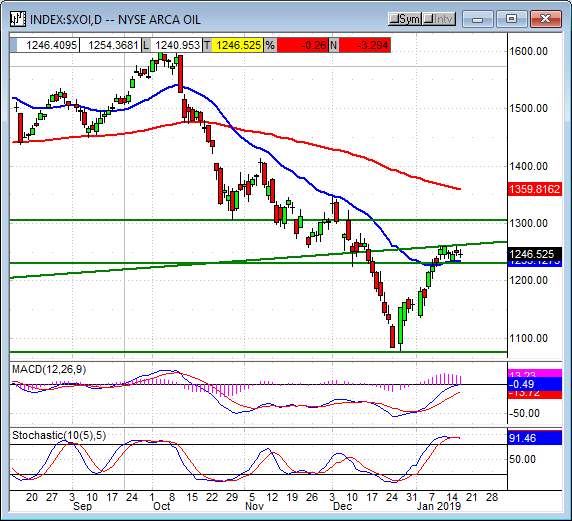 The index created a small green candle but the upper shadow confirms yesterday's resistance at the short-term moving average so I'm not expecting much of a move higher. Tomorrow's Philly Fed Index is likely to echo the Empire State survey from earlier this week; if it does it will be a weak read and could push the Dollar Index lower. 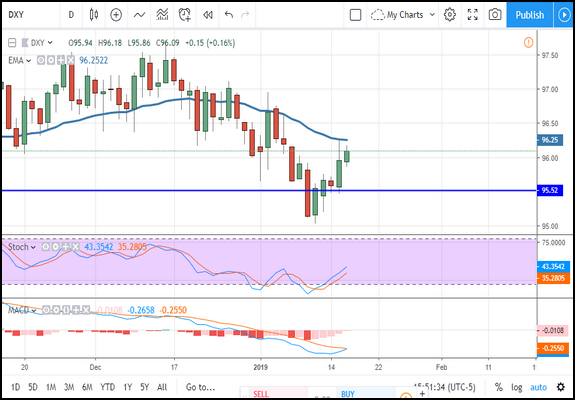 A move above the short-term 30-day EMA could be bullish but would leave the index within the long-term trading range, a fall from this level may be bearish but only if it can break below $95.05. Gold prices were able to drift higher in the Wednesday session but spot gold remains within the near-term congestion band. The band, between $1,280 and $1,300, bears the hallmarks of a bullish flag pattern that may soon be confirmed. A move up and above $1,300 would be bullish but is not yet seen in the indicators. The indicators are showing some weakness that may lead the metal lower but, until then, are consistent with consolidation within the uptrend. If prices do move higher and break resistance I'd expect to see gold hit $1,325 and $1,350 over the next few weeks. 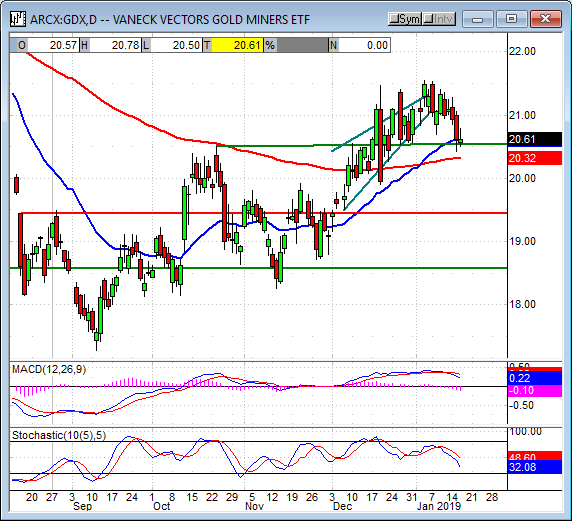 The Gold Miners ETF GDX has retreated to support at the $20.50 level and may be ready to move higher. This is assuming that gold moves higher because if it doesn't there isn't much hope for this index. 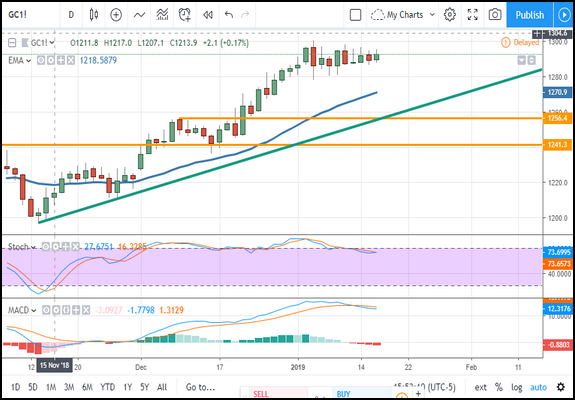 The support level is probably a strong one, it has been a crucial pivot point since the gold correction last summer and confirmed by the short and long-term moving averages. The indicators are moving lower which is a cause for concern but until prices break $20.50 and then fall below the long-term moving average things are looking good for price action to rebound. A move up would be bullish but may be capped at $21.50, a move above there could go to $22.00 or $23.00 in the near to short-term. Oil prices were able to hold steady amid today's mix of inventory data. The EIA says crude stockpiles fell 2.6 million barrels, about double the expected, but distillates and gasoline more than made up the difference. Distillate stockpiles rose almost 3 million barrels, also double the expected, while gasoline stocks rose by 7.5 million barrels, almost 3 times the expectations. Along with this, the EIA says US crude production could top 12.9 million barrels per day by next year which means we will be pumping more than enough to offset OPEC's production cuts. Today's price action has WTI trading above the short-term moving average but still below a key resistance point. If resistance is not overcome soon, and considering the inventory data, oil prices could begin falling again. The Oil Index tread water in today's session and is positioned much like the underlying commodity. 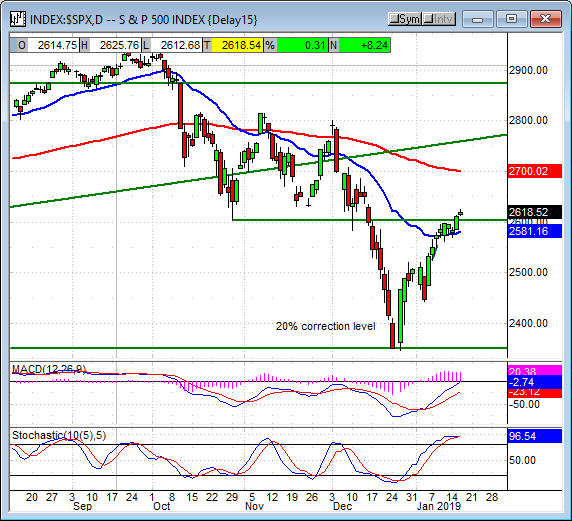 The index is consolidating above the short-term 30-day EMA but below a resistance point with the future in question. With oil prices so low the energy sector is expected to post the worst earnings of the year which includes negative growth for most quarters. The only thing supporting the sector is buybacks, dividends, and potential for dividend increases. 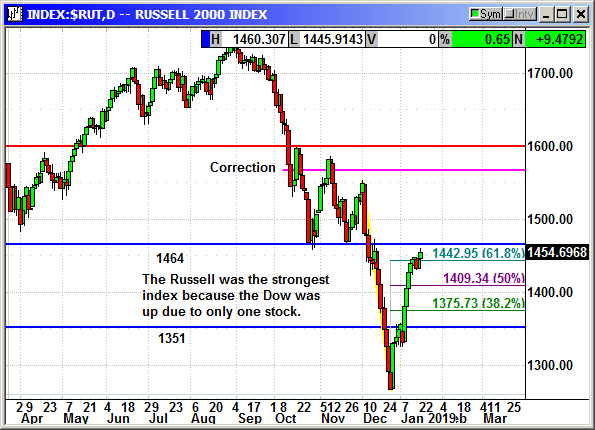 A move up from here would be bullish but may not go far, there is resistance at the 1,300 level and then the long-term moving average near 1,350. 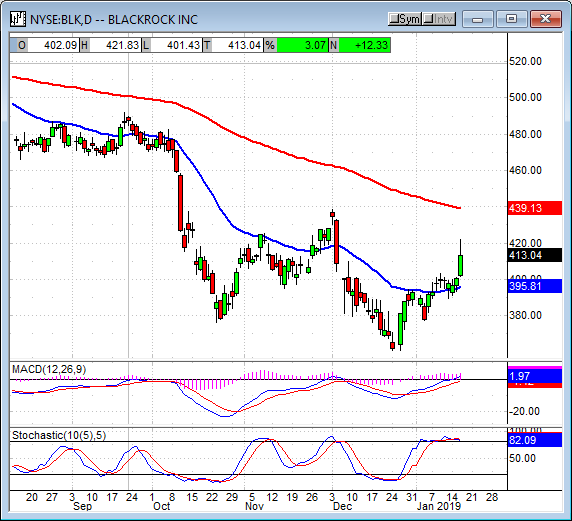 Blackrock reported earnings before the bell and the money manager reported a -50% decline in net-inflows. Total revenue missed by a hair but was down from the sequential quarter and the same quarter in the previous year. Assets under management also fell. The results were bad but not so bad considering the market was expecting worse. Reports from Citigroup, JP Morgan, and others showed significant weakness in trading-related revenue that could have cut much deeper into Blackrock's bottom line. 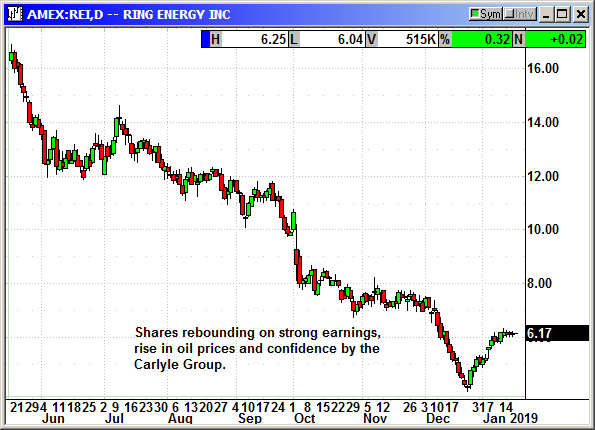 The market chooses instead to focus on a 5% increase to the dividend which helped drive the stock higher. Blackrock advanced more than 4% in today's session and looks like it could be reversing a downtrend that has shaved nearly 50% off its share price over the last year. 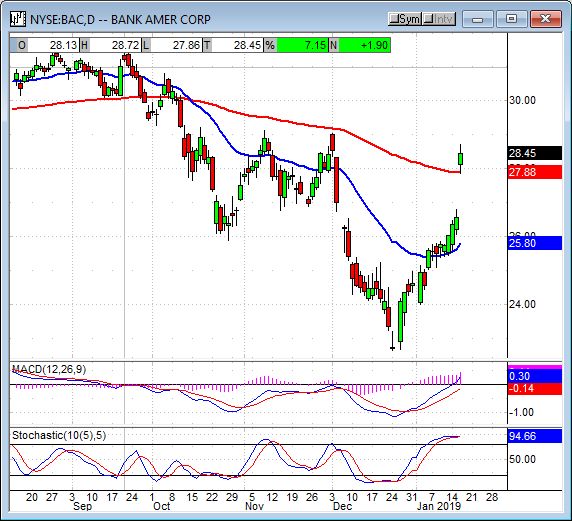 Bank of America reported before the bell and blew past consensus estimates. The company reports revenue grew more than 11% over the last year and that the consumer is strong. EPS of $0.70 beat by $0.07 on strength in Consumer Banking and Global Wealth Management. Consumer Banking net income grew 52%, Global Wealth by 43%. There was a small decline in trading revenue, about -6%, but nothing like what we've seen from banks with exposure to the segment. 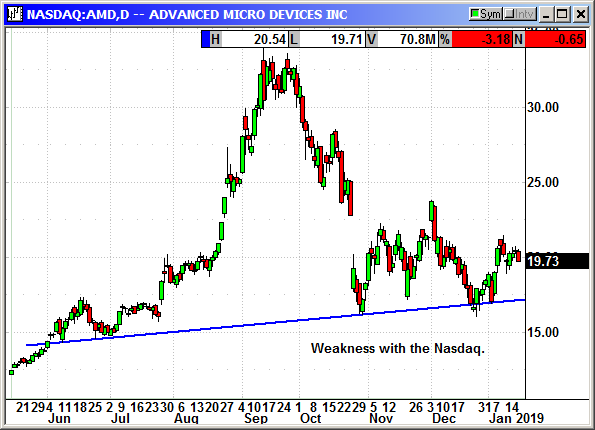 Shares of the stock gapped up at the open, opened above the long-term moving average, and moved higher from there. 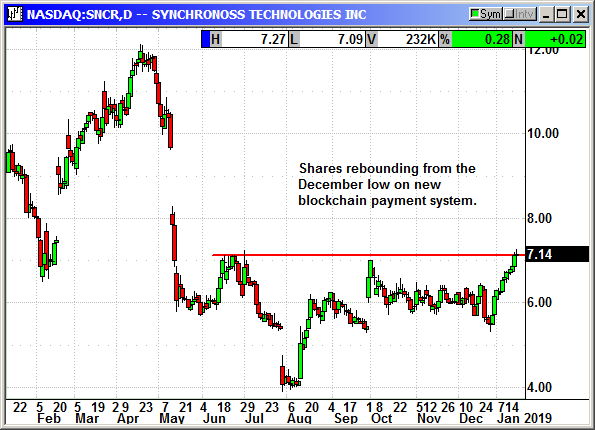 By the end of the day the stock was up more than 7.60% and supported by strong momentum. Goldman Sachs also reported before the bell and absolutely smashed the consensus estimates. The company reported revenue of $8.08 million, down in the YOY comparison, but a half billion above the expected. The strength in numbers was driven by strength in net investment income, Investment Banking, and Institutional Services, and aided by an improvement in operating costs. Shares of this stock gained nearly 10% and closed at the high of the session. Rail giant CSX reported after the bell and delivered a package of nice surprises. The company beat on the top and bottom lines with revenue up more than 10% over the last year. Revenue is driven by broad-based volume growth, pricing gains, and a favorable mix. The company also announced its best ever operating ratio, up 40 basis points in the last quarter, and a fresh $5 billion share repurchase program that has the stock trading down -2.0% in the after-hours session. 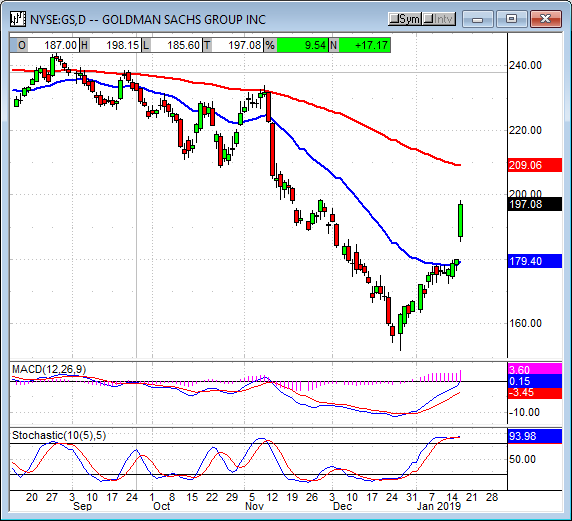 The indices moved higher and the price action looks good. 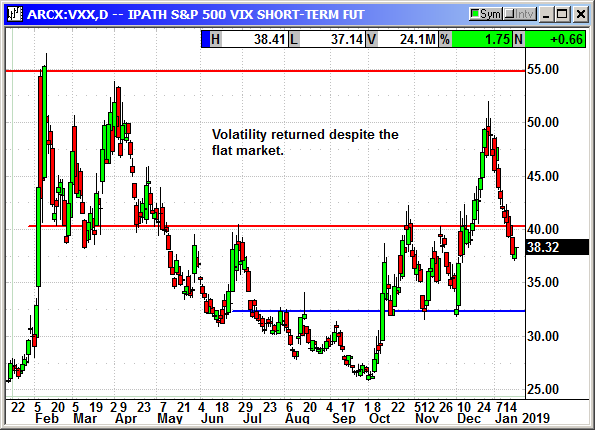 In all cases, a VEE-ish bottom is forming after the December low and most indices are confirming the move. The Dow Jones Industrial Average led today's market with a gain near 0.60%. The blue-chip index opened slightly above yesterday's close, above the baseline of said VEE bottom, and moved higher from there. 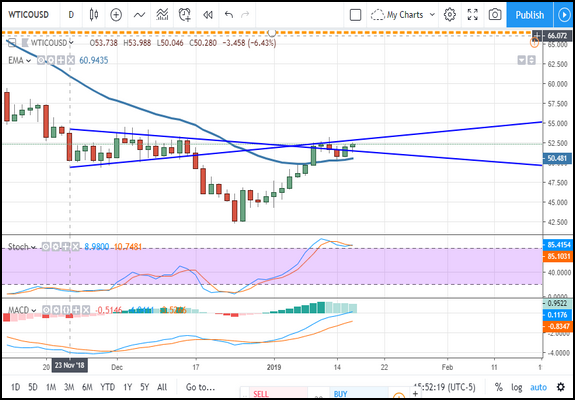 The index is supported by rising momentum and stochastic that point to a continuation of the 2019 rally. A move higher is likely to find some resistance at the long-term moving average, a move above that would be bullish for the long-term and likely result in a retest of the all-time highs. 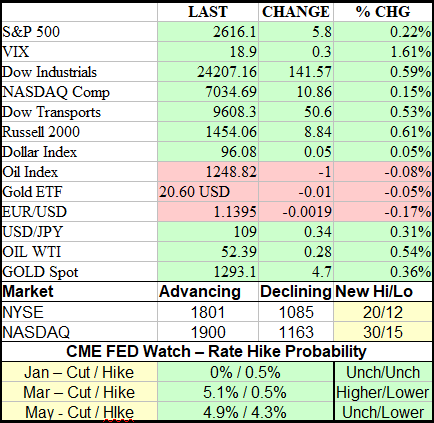 The S&P500 posted the largest advance with a gain near 0.30%. 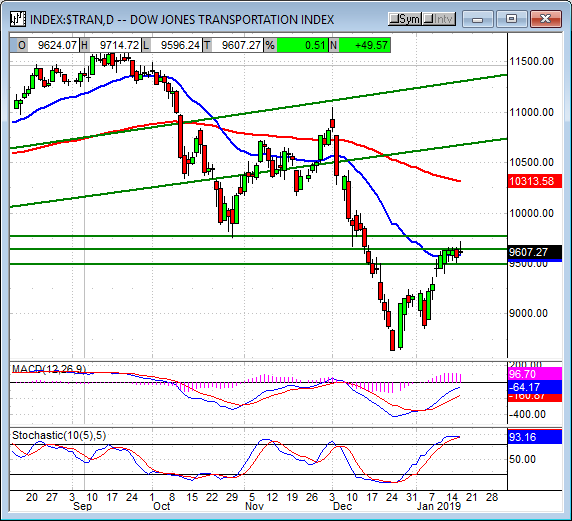 The broad market index is well above the baseline of its reversal pattern and set a new high with today's candle. 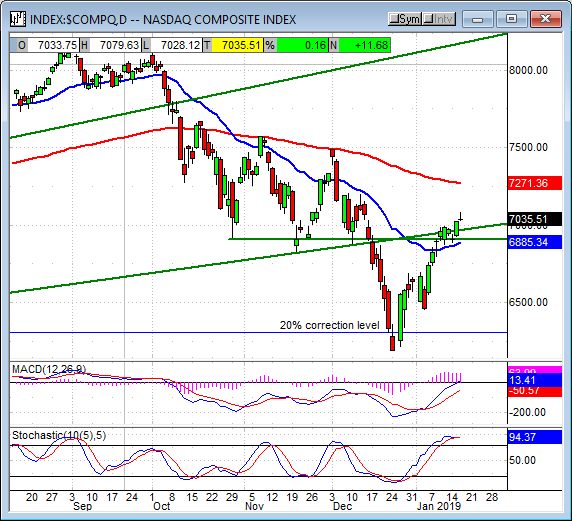 The index is also indicated higher so a move to test the long-term moving average is likely. My next target is 2,700, a move above that may find resistance at the 2,750 level. The NASDAQ Composite was the weakest mover in today's session, no surprise since it isn't very heavily weighted toward financials. 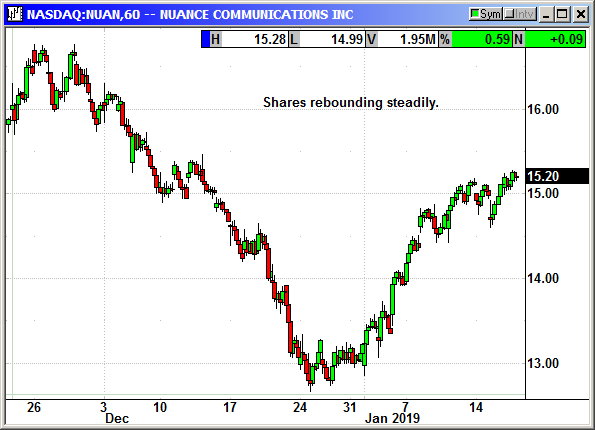 The index is above the baseline of a reversal pattern, and above the short-term moving average so further upside is likely as the earnings season progresses. 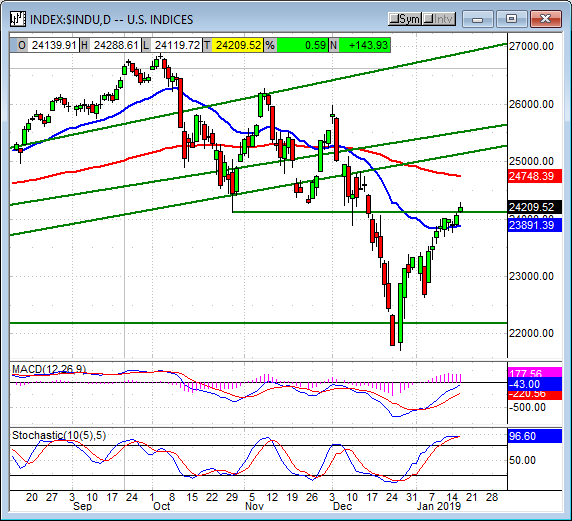 The indicators are a bit weak but consistent with consolidation within an uptrend so I am not worried at this time. 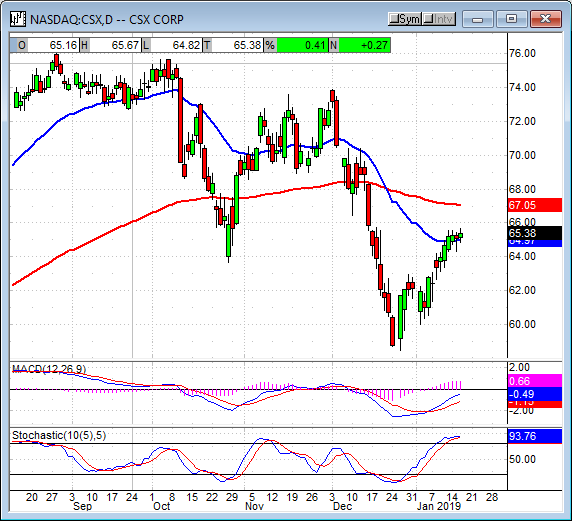 A move higher will confirm this outlook but may face some resistance at the long-term moving average. A move above that would be bullish. 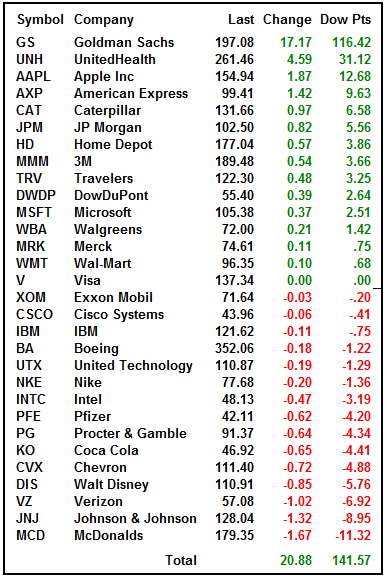 I am so happy, earnings season is here and the market is not focused on the FOMC, or too heavily on trade. The results are good so far and, based on what the bankers are saying about the consumer, should continue to be good throughout the cycle and on into the rest of the year. Like they say, when its bad for Wall Street it's good for Mainstreet and that is what we've seen over the last year. Wall Street has been struggling with a lot of issues while labor markets, wages, consumer health, and retail spending all improve. Now, Mainstreet is back and ready to drive the economy to new highs over the next year (s). I am firmly bullish for the long-term and cautiously bullish for the near-term.